Making the transition from a subscription-based service to retail, the recipe kit service Simply Cook has dressed up its products in new and pretty clothes. 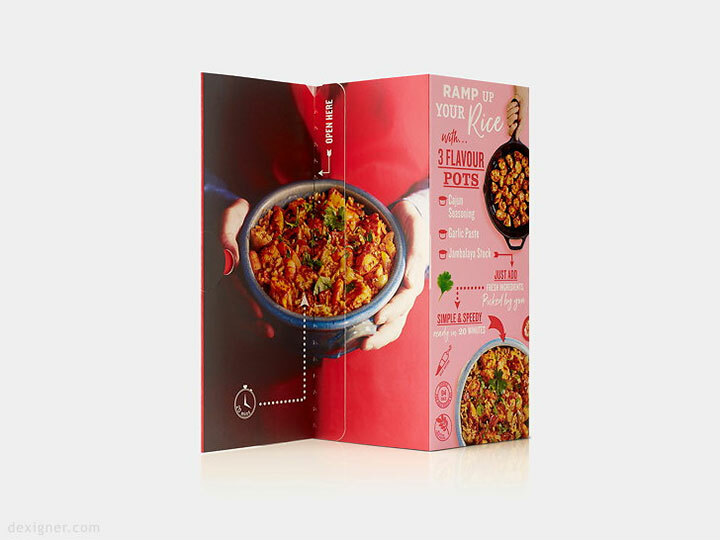 B&B Studio and Path worked on this branding design project and came up with an attractive and efficient way to present the company’s range of six recipe kits. The kits are designed for people who love cooking but lack the time to plan the meal. While they provide the flavors, it is the consumer who buys the fresh ingredients, following the shopping list that is part of the mix. The presentation had to take into consideration the different roles the kit had to play: from serving as a shopping list and recipe card to showcasing the flavors and making the act of cooking as simple and enjoyable as possible. The designers started with a vertical cardboard structure in vivid colors meant to catch the eye of the consumer, but to also promise a great, joyful adventure. 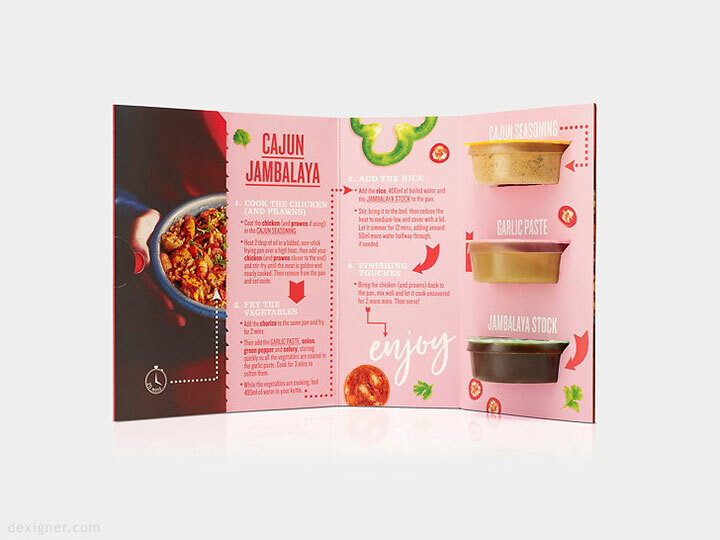 Intended to sit by the fresh produce in the store – so that the customer can easily choose and pick the ingredients – the kit has a simple, yet impactful frontside that advances in a few words and a few uncomplicated graphics the idea of an easy and fast meal. 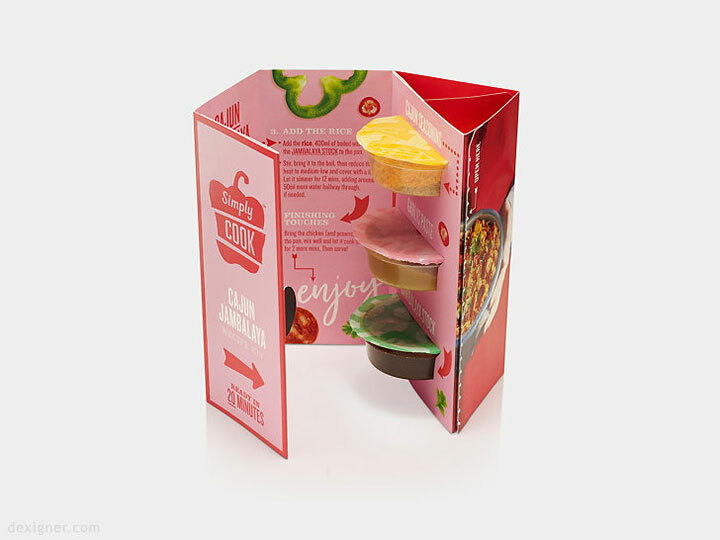 As a subtle invitation to open the pack, the cardboard structure does not have a top and a bottom, allowing the customers to see the flavor containers. 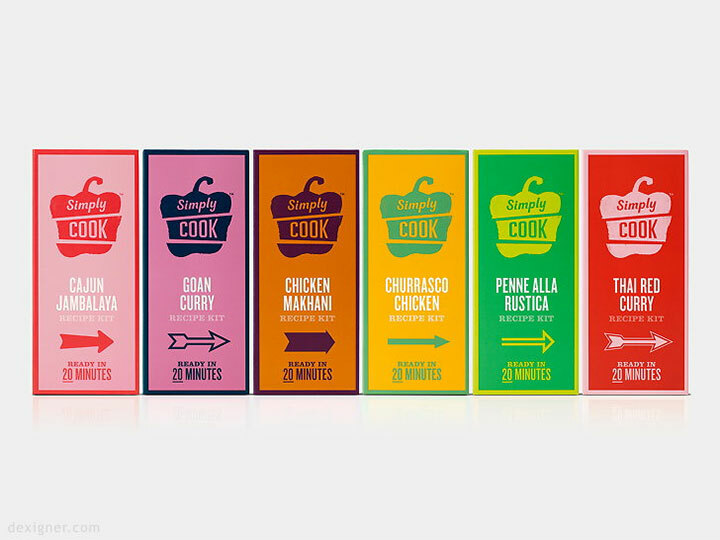 The pack unfolds into a series of panels that take the consumer from the list of raw ingredients through the whole cooking process and to the final result. The process is illustrated with simple, yet useful graphics and completed with appetizing photography of the final meal. 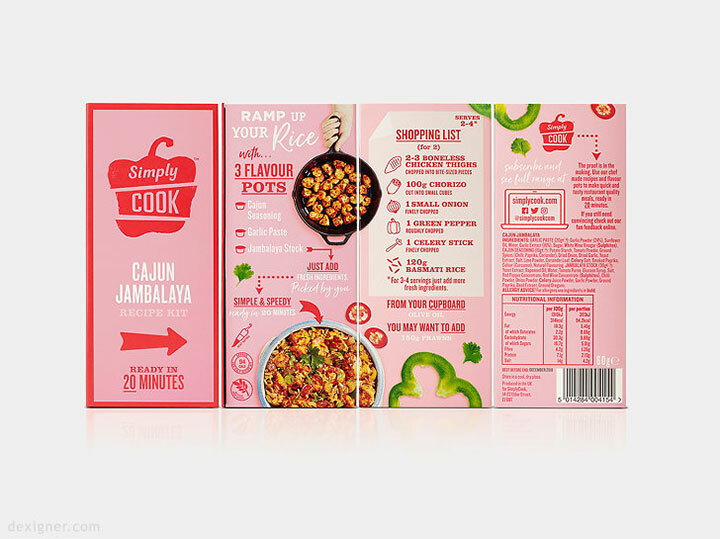 Trying to capture the joy of cooking in their careful presentation, the Simply Cook packs are an excellent example of a clever branding design. It is not only that this bold, upbeat design increases the chances that the customer picks up the kit, but the pack delivers on the promise to make cooking easy and fast.